Summertime, and the living is easy. It sounds nice, except when it’s too hot for easy living or any other kind of living. Sure, summer comes as a relief after a long winter or a particularly cold or rainy spring. However, the relief quickly gives way to the suffocating heat and the headaches caused by the increased energy bills. Unfortunately, in the hotter parts of the world, people feel like there is no good alternative for an AC. It’s not only that the heat is uncomfortable; it can also be very dangerous for people’s health. Hyperthermia can seriously endanger the more sensitive groups of people, like the elderly, obese, and children. The health risks associated with it include heat stroke, headaches, fainting, seizures, and in extreme cases, even coma. Keeping that in mind, it’s easy to conclude that the overuse of AC is not simply a sign that the human race is getting more and more spoiled – the risks of overheating are justification enough. However, while the AC is necessary in the hottest regions, there are still alternatives that will help us reduce the use of it everywhere. For example, you can open windows at night to allow your home to cool down. You can base your summer diet on raw food, which would reduce the usage of stove and oven – and you can use your grill when you want to cook. Investing in a cool roof or good insulation is always a good idea, and ceiling fans can come in handy. However, one of the best ways to cool your home down during the summer is shading the windows. Of course, awnings are the most practical to do it. 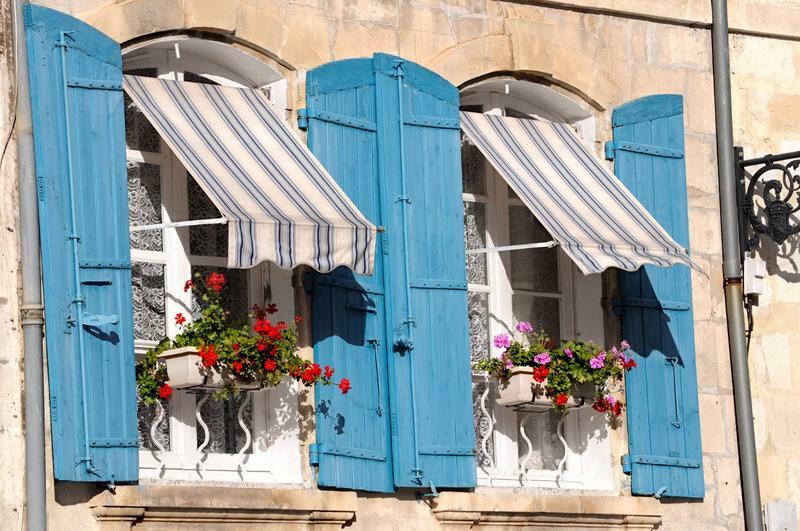 Here are some reasons to consider investing in nice awnings for the summer. Some studies claim that awnings make so much difference that the houses that have them pay more than 60% less for electricity than the houses without them. It's a nice percentage, right? The trick is simply in the fact that most of the heat enters your home through the doors and windows. Even if they are closed during the daytime, they heat much more easily than walls, which means that they act as little radiators that are placed all around your house. This increases the temperature in your home, making it more tempting to simply switch on the AC. However, with the awnings, the doors and windows are in a shade which makes it much more difficult for them to heat. That means that your house will stay cool longer, and even if there is still need for AC, you won't have to use it as much as you normally would. To get the maximum from the installation of awnings, you must arrange them strategically. Obviously, some windows get more sunlight than others during the summer, and you'll want to focus on those. The west-facing windows get the most of the sunlight in summer months, and the south-facing ones are second most problematic. Therefore, those are the sides of your house you'll want to cover first. It can knock about 70% off of your energy bills. You may be reluctant to invest in something that will only be useful in summer. Don’t worry; awnings can help you in winter as well. Remember what we said about windows and doors heating more easily than walls? Well, they cool down more easily, too. In winter, the air is cool enough too cool your windows by itself. If you allow rain and snow to get into contact with your windows, the problem will be seriously amplified. Therefore, a high-quality waterproof retractable awning can go a long way in making sure your house stays warm in winter. You can get some good awnings in many different designs. So, if you have an eye for matching styles and colors, you can make your house even prettier with the right choice of awnings. They can add quaint appeal to a modern design, or enhance the grandeur of a Victorian-style mansion. They can look simply charming when they fit nicely with the rest of the environment, so don’t limit your options to “safe” choices. If done well, awnings can even increase the value of your home. One of the best features of awnings is how practical they are. Most of the modern versions are retractable, which means that they’re very easy to use. Sure, some of them use strings and some only require a push of a button, and they’ll fold neatly. This is important simply because you probably don’t want your windows to be in shades all the time. When the heat isn’t a problem, most of us like having a lot of natural light inside our homes. It’s good for everyone’s mood and the research shows that natural light actually plays a big role when it comes to our well-being. Because of that, awnings are a better idea than tree shade – you can’t move a tree as easily as an awning. Awnings are a great way to reduce the energy bills, not only in summer but in winter as well. They are practical and easy to use, and they can be really cute. For all of those reasons, they are a great investment. And don’t forget – they’re much more environmentally friendly than the AC!